A new comedy called IBIZA is landing on Netflix on May 25. 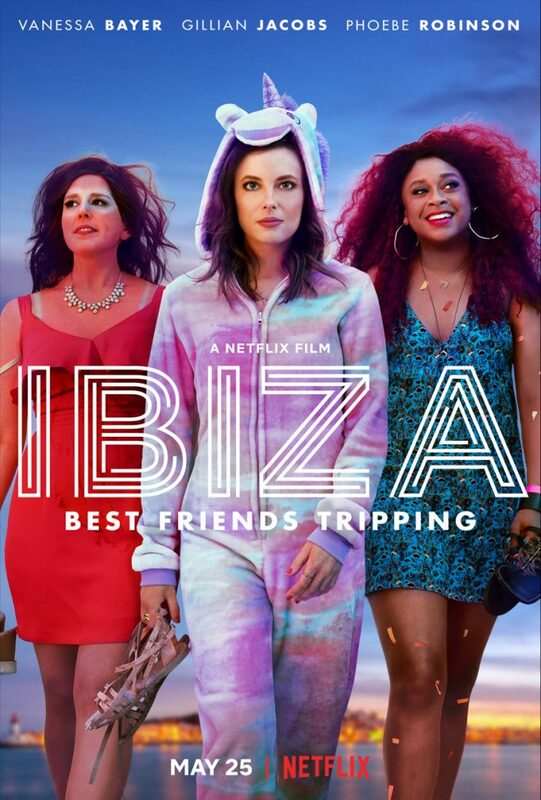 It focuses on a group of three friends from New York who escape the Big Apple and embark on a raucous trip to the White Isle, with main character Harper, played by Gillian Jacobs, striking up a flirty relationship with a world-famous DJ. Vanessa Bayer, Phoebe Robinson and Richard Madden also start in the film, which is directed by Alex Richanbach and written by Lauryn Kahn. Speaking to refinery29, Jacobs said: “It’s really a movie about female friendship … The movie is about three [women] going on an adventure, and we had an adventure ourselves.